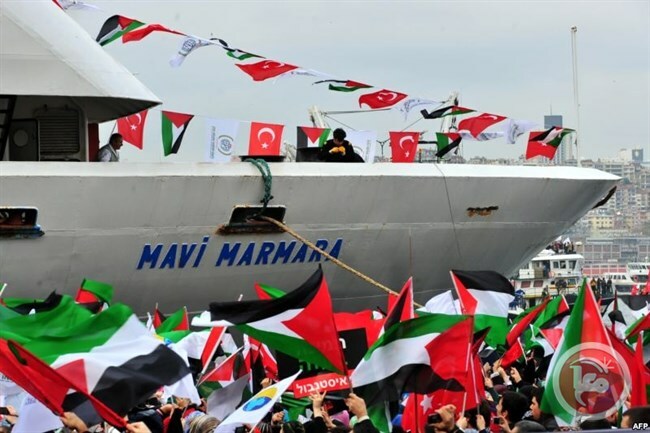 The first ship taking part in Freedom Flotilla III on Monday set sail from Gothenburg, Sweden, for a voyage of nearly 5,000 nautical miles to the blockaded Gaza Strip. The first ship taking part in Freedom Flotilla III on Monday set sail from Gothenburg, Sweden, for a voyage of nearly 5,000 nautical miles to the blockaded Gaza Strip, the Freedom Flotilla Coalition said. The trawler Marianne was jointly acquired by “Ship to Gaza Sweden” and “Ship to Gaza Norway” and will be joined by other ships en route. Together, the ships will form the third flotilla to head to Gaza with the aim of “a peaceful, nonviolent action to break the illegal and inhumane blockade of the Gaza Strip,” the FFC said. The trawler is carrying a limited cargo of solar cell panels and medical equipment for the war-devastated Gaza Strip, the FFC said.It will carry a crew of five people as well as “up to eight delegates as passengers in each section of the route,” the FFC said, with these delegates to be announced along the way. A range of public figures are expected to participate in the flotilla, including former Tunisian President and human rights activist Muncef al-Marzouki. Conditions in the Gaza Strip have deteriorated sharply following last summer’s 50-day Israeli assault, which left more than 2,200 Palestinians dead and around 100,000 internally displaced.